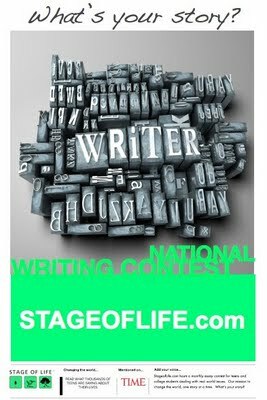 With its growing base of teen, college, teacher, and parent users, writing and blogging community StageofLife.com announces its 1,000,000th visitor. The site now hosts over 20,000 stories, articles, and content pages, with hundreds of blog posts and pages being added monthly. 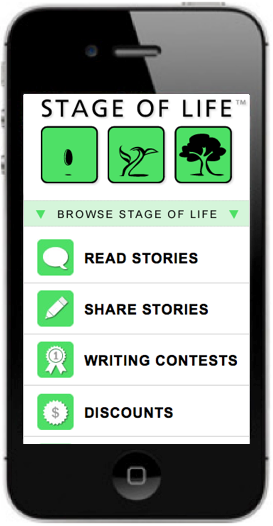 With over ten thousand registered members and 20,000 published stories, articles, teen trend reports, and other life resources, the online blogging community, StageofLife.com, recently passed start-up milestone - its 1,000,000th visitor. Currently located just outside of York, PA, but launched in 2009 by cousins and Minnesota natives, Joseph and Eric Thiegs, the online community was formed as place for people to "Change the World, One Story at Time." "We had maybe 20 web pages created and four people visit the website our first month...me, Joe, and our mothers," stated Eric Thiegs, Founder and CEO, "and see our Google Analytics track that 1,000,000th visit was a milestone for our idea." Working on a personal, bootstrap budget to fund the development of the idea, the cousins spent the last five years growing an organic and grassroots community of bloggers, writers, teens, high school teachers, parents and other people who came together to support the site's mission to change the world through storytelling. "We wanted to build a free network where people could share their wisdom and experiences from life, in the hopes that those narratives and stories could help someone else maybe going through the same thing or entering into a particular life stage," said Thiegs. The concept has so far been working as more and more people discover the website through word-of-mouth and web searches, with triple digit visitor growth occurring year after year as the user and Editor-generated content continues to grow. The site now hosts over 20,000 stories, articles, and content pages, with hundreds of stories and pages being added monthly. "We've been running Stage of Life for nearly five years, but we saw over half a million of our visitors last year," said Thiegs. "The original content from our users keeps bringing new people to the site...it's exciting." With its ability to attract and retain visitors throughout multiple life stages, the site also started attracting the attention of national retailers who liked the idea of being able to place their brand in front of web-savvy bloggers and consumers before key buying decisions are made. With the Stage of Life concept hosting ten very specific life stages ranging from high school to retirement, retailers have the opportunity to position special offers as visitors are exploring a transition into a new life stage. "People purchase new things as they move off to college, get married, have kids, buy a house, or retire," said Thiegs, "So whether it's the single guy who needs an engagement ring as he heads towards marriage or parents who need a new laptop for their daughter going off to college, not only are we able to provide a place for people to share their stories, but we've now also become a hub for people to find brands and save money during life's journey." The culmination of this component of the website resulted in the creation of My Life Rewards, a coupon program for Stage of Life users showcasing over 200 national merchant offers. The website also launched a mobile version of its website so its members could upload their stories via smart phone from anywhere. It is also known for its writing contests, educational resources, life stage statistics, videos, teen trends reports, and other unique content. 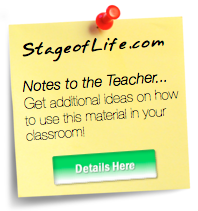 StageofLife.com is a privately funded, start-up company founded in 2009. The website's mission is to change the world, one story at a time. The site provides an international writing community for today's teen, Gen X, Gen Y, and Baby Boomer generations. StageofLife.com is a privately held company.